The mighty Zambeze, flows in all its majesty through many of the countries around the tip of Africa. The Zambeze has now redirected its course and reached the heart of Durban, South Africa. Your Hosts, Shaquila & Yasien welcome you to experience the most flavour-some cuisine that has set Durban abuzz. Their passion for fine dining mixed with the exotic flavours of Mozambique are all fused to bring you a superior dining experience with special touches, that is Zambeze. 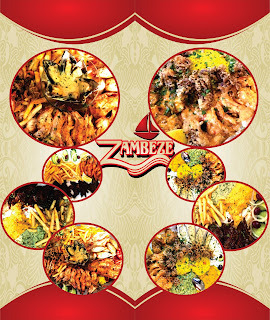 Zambeze welcomes you to a flavour-some taste experience that will tantalise your tastebuds to new heights! Specialising in culinary dishes covering seafood, Chicken, Red Meat and Veggies, we have everything that you will want and need, including a special kiddies menu as well as a selection of non-alcoholic cocktail drinks to complement our amazing array of dishes. A venue with seating upto 150 people, whether you are partying big or small, give us the opportunity to host your event! With our attention to detail you, we promise you a more than pleasurable experience!